Maintain the maximum storage space in your vehicle with this Heavy Duty Aluminum Contour Shelving unit that closely hugs the side wall of your RAM ProMaster City. You can maintain access through both sliding side cargo doors by installing this 38" wide unit over the passenger and/or driver’s side wheel wells. Heavy–duty .100 aluminum top and middle shelves are 12" deep with a 7" deep bottom shelf that allows you to position these units over the wheel wells. All shelves have a 3" lip to keep items on the shelf and can be divided on 4" centers with optional drop-in dividers. All units are 45" high and are available with a door in the middle section of the unit, complete with an aluminum back panel. 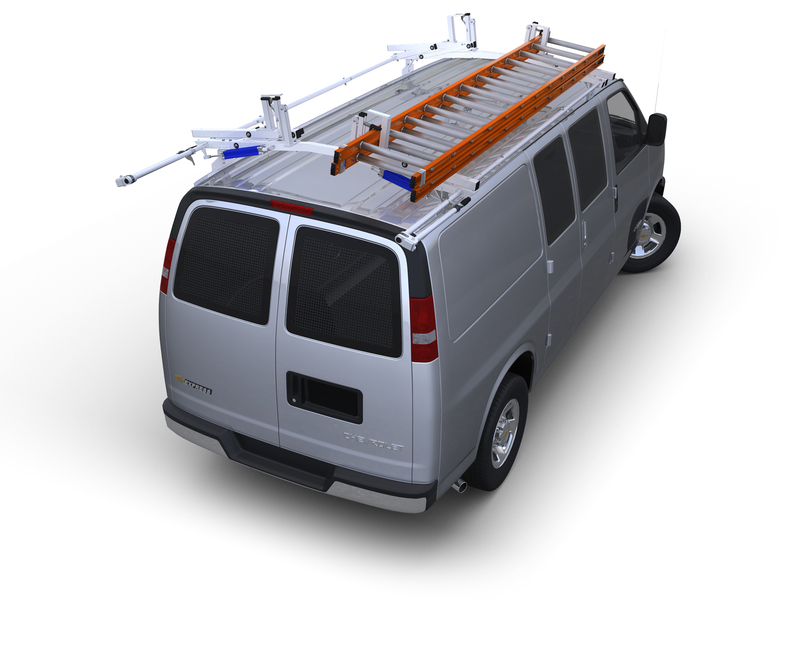 Maintain the maximum storage space in your vehicle with this Heavy Duty Aluminum Contour Shelving unit that closely hugs the side wall of your RAM ProMaster City. You can maintain access through both sliding side cargo doors by installing this 38" wide unit over the passenger and/or driver’s side wheel wells. Heavy–duty .100 aluminum top and middle shelves are 12" deep with a 7" deep bottom shelf that allows you to position these units over the wheel wells. All shelves have a 3" lip to keep items on the shelf and can be divided on 4" centers with optional drop-in dividers. All units are 45" high and are available with a door in the middle section of the unit, complete with an aluminum back panel. Doors have lockable heavy duty folding T-handles to keep contents secure. Units have open bases with a 3" high foot plate to create additional contained floor storage space beneath the unit. These all aluminum units come completely assembled, ready to install into your vehicle.